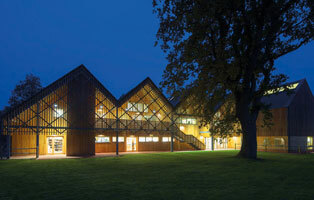 Bedales receives national architecture award - The BSA Guide - looking for a UK boarding school? : The BSA Guide – looking for a UK boarding school? Bedales School has been presented with a prestigious UK award from the Royal Institute of British Architects (RIBA) at its Stirling Prize 2017 awards dinner. The school received the RIBA Client of the Year Award for 2017 for its new Art & Design building, having been nominated by the architects, Feilden Clegg Bradley Studios (FCBS). The first school to win the award, Bedales was chosen ahead of four other award winning shortlisted projects including Tate Modern’s Blavatnik building, Enfield’s Dujardin Mews and two innovative Forestry Commission projects. The Bedales Art & Design project was commended in the RIBA report for including ‘meaningful student involvement throughout the process; from inception and participating in the selection of the architect, through to use of spaces and detail. This meant a very useable and functional building has been created.’ Katie Shannon, who was involved in the project as a Bedales student representative, has since graduated in Architecture from the University of Edinburgh and is pursuing her career as an architectural assistant with FCBS. 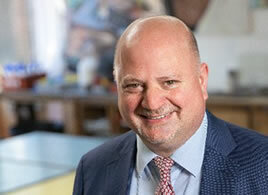 Katie commented: ‘Since I was 12 I knew I wanted to become an architect and that ambition flourished during my time at Bedales, as a result of being involved with the selection of FCBS and chairing the student consultations.’ Headmaster Keith Budge added: ‘This award is real accolade. Consultation was widespread across our school community and we are grateful to all those who helped create a building that is such a fitting emblem of the school’s arts and crafts tradition. I am so pleased that we have been recognised by RIBA for our collective effort in creating a building that is as beautiful as it is useful.’ This latest award for the Bedales Art & Design building comes after its recognition by RIBA earlier in the year with a National Award and four Regional Awards. The BSA Guide to UK Boarding Schools is a dedicated website to provide information on boarding schools in the UK. At our site you will be able to find detailed information on education, articles from leading heads in the UK along with comprehensive school information and contact details.